On 1620 professed and started the way of her mystic life, also marked by sickness, temptations and other efforts. Mother Agreda´s life is unthinkable without the framework of the Franciscan enclosure. Saint Beatrices order oriented her towards the central mystery of the Immaculate Conception, which would exert a humanly inexplicable fascination in all her life. The inexorable reclusion of her enclosed life guided the powerful strength of her intelligence and will towards a growth in vertical direction. The tightness of her first monastery, reduced to the walls of their parents´ house, launched the adolescent Mary of Jesus to a life of superior expansion, toward the mystic. The beginning years of her religious life were marked by paranormal phenomena mystic-religious such as levitation and ecstasy. She started that period at the age of 18. The mode, in which mystic trances took shape, was the type of ecstasy. The young Franciscan remained motionless and insensible for a while of about two or three hours. The ecstasy came along with levitation. She was elevated from the floor and she acquired such an astonishing lightness that a slight blowing could move the weightless mass of her body to and fro. Her face was transformed to such extent that she looked like a seraphim. All those trances rose up to more than a thousand. Her confessor –Juan de Tordecilla- extended these phenomena indiscreetly, and the nuns increased the publicity. 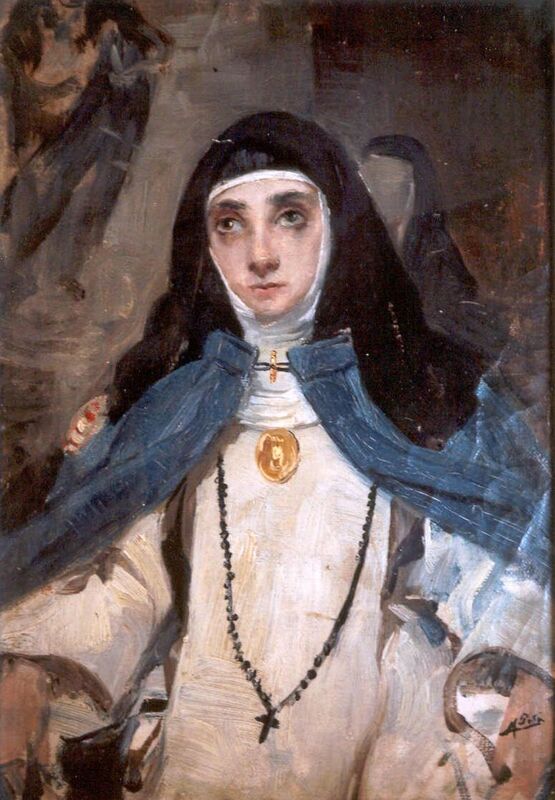 Much people approached to watch her in that circumstances, the phenomena last until 1923: “I went to the Lord –she tells us- and humbled in front of his immutable Being , I said to him that I did not have to get up until was granting myself to take all the exteriorities from me”. By request of the own Venerable, Juan de Villalacre, provincial minister of Castilla (1620-1623), interceded in the problem to put end to such exhibition. The convent was small. The lay population from the town attended to mass in the small chapel, and there was no lack of indiscreet people, who in collusion with the religious, the transformed face of the nun in ecstasy. But the cessation of the outward appearances brings a concentration of the supernatural thing inside the nun, who starts living through a few unique phenomena of bilocation that make her act distantly of thousands of kilometers. Her spiritual life was developed in three stages, to which she called novitiates: the imitation of the Virgin Mary, the imitation of Christ and the donation of herself to God; each of the processes was ratifying them by a kind of profession. She developed principally the virtues of science, prudence, meekness, faith and penance.